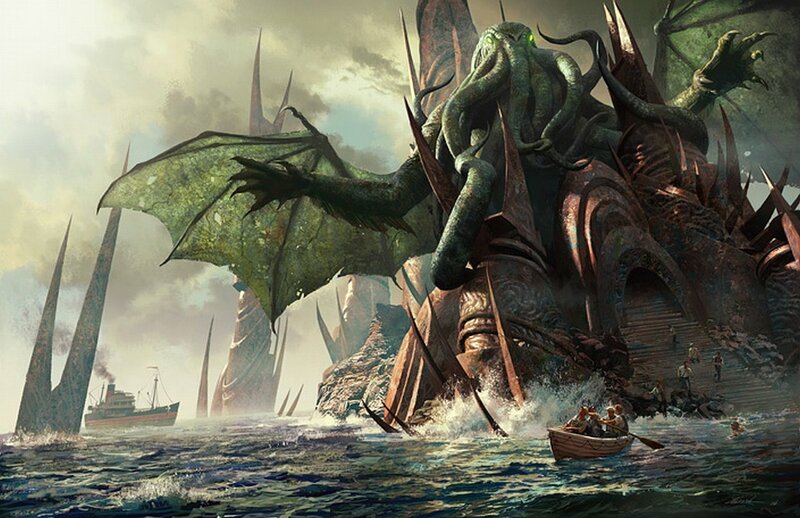 "That cult would never die till the stars came right again, and the secret priests would take great Cthulhu from His tomb to revive His subjects and resume His rule of earth. The time would be easy to know, for then mankind would have become as the Great Old Ones; free and wild and beyond good and evil, with laws and morals thrown aside and all men shouting and killing and revelling in joy. Then the liberated Old Ones would teach them new ways to shout and kill and revel and enjoy themselves, and all the earth would flame with a holocaust of ecstasy and freedom. Meanwhile the cult, by appropriate rites, must keep alive the memory of those ancient ways and shadow forth the prophecy of their return." It was 1928 when Howard Phillips Lovecraft published The Call of Cthulhu: his seminal classic which forever altered the nature of horror fiction. Mankind, "free and wild and beyond good and evil, with laws and morals thrown aside." Men "shouting and killing and revelling in joy." It has been eighty-five years since Lovecraft wrote those words. And with each passing year it seems as if humanity... or at least the civilized realm of it... is descending further and further into the barbaric, unrestrained frenzy of pleasure and pain that he described in his tale. Slaying the innocent for sake of money and convenience. Government gone lawless. Men and women descending beneath their nature. Wars without reason or end. Conscience and ethics spurned utterly. Good proclaimed to be evil, and evil to be good. Perhaps more than we have realized... maybe more than we would like to acknowledge... H.P. Lovecraft had a prescience of far greater clarity than any prophet or futurist of this age. Great post, Chris! Lovecraft is one of my favs.